About half an hour. If you are a mother, I suggest doing this when the kids are asleep! It can be a total nightmare trying to do this when they’re awake! I totally underestimated how long this would take me. And a collection of essential oils. These can be any that you choose, dependent on your skin type (mine is oily, blemish prone). I used grapeseed, rosehip and avocado (all classed as carrier oils) and benzoin, lavender, peppermint, eucalyptus, juniperberry and rosemary. For storage I used a small pot that was a sample pot from Lush. The reason that I haven't included measurements of each ingredient is because this is YOUR skincare. You make it to whatever consistency and whatever measurements of each ingredient that you prefer. However, there are still safety factors to keep in consideration when using essential oils. For more info on this, please check out my post about essential oils. I started off by filling a saucepan with boiling water from the kettle, placing a large, heatproof, metal sieve over the top of that and then placing my little storage pot with the beeswax in the middle of the sieve. Then, I put the saucepan onto the hob to keep it boiling and to melt the balm. The beeswax before being placed in the sieve over the pan. The reason I used this method to melt the wax was because the pot that I had used was just so small! Popping it into the pan directly was resulting in the little pot being thrown around everywhere and attempting to capsize. It's hard to explain without boring you, but it was a nightmare! Then I tried putting it into a small pot filled with boiling water and hoping for the best (as in the photo above), but that was taking far too long. Then I decided on the sieve method, but alas, I didn't get any photos of the melting whilst it was in the sieve due to steam attacking the camera. I recommend that you use a better container than I did for melting as you can always pour the finished product back into a smaller pot before it sets. 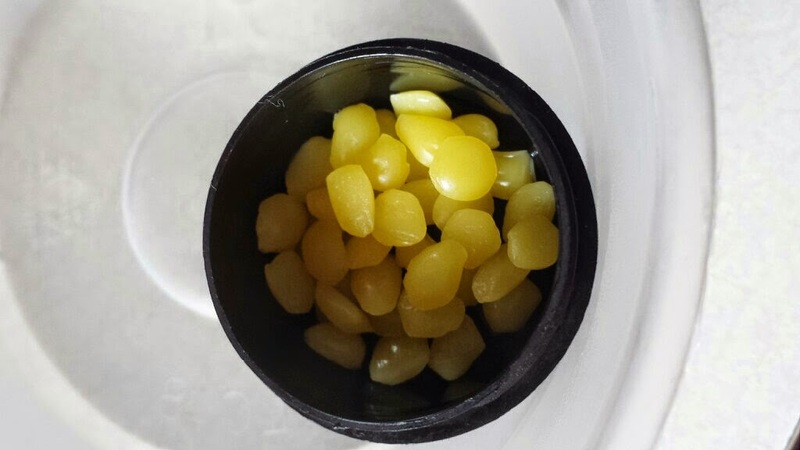 When the beeswax pellets are sufficiently melted, add some of the mango butter. I suggest that you judge how much butter to add by eye and by your own intuition. If you prefer something that is more buttery in consistency, then use more butter. If not, then use less. I used a fair bit as I wanted something a little more buttery and easy to use. Continue to melt the butter into the beeswax the same way that you originally melted the beeswax. Next, you need to add the oils. The carrier oils that I chose were grapeseed, rosehip and avocado. Grapeseed is fantastic for oily, blemish prone skin as it has astringent qualities, antioxidents and anti-inflammatory properties. Rosehip has fantastic anti-aging properties as well as dark spot correcting qualities due to the Vitamin C content. I also used it because it is supposed to be good for nails, and this is meant to be a multi-purpose balm, after all! 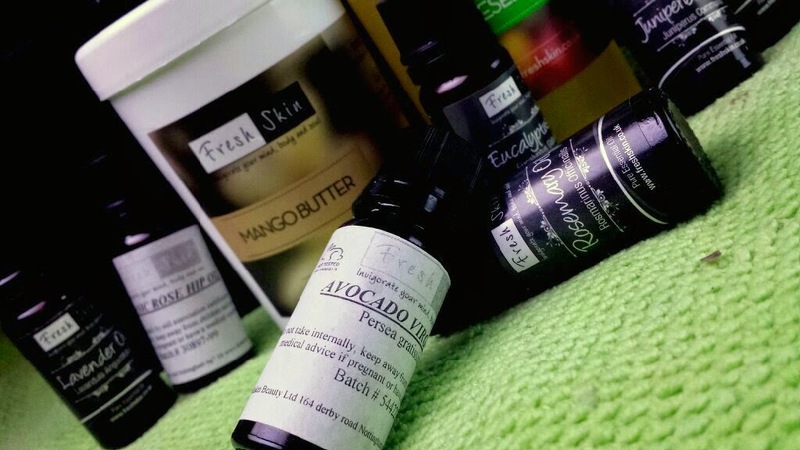 Avocado oil is rich in Vitamin E which is helps to protect your skin from environmental aggressors. Again, add these oils by your own intuition. I used more carrier oil than essential oils though for reasons you can read about in my essential oils post! Once the carrier oils are added, I then added the essential oils. I only added a couple to a few drops of each oil to this mix depending on the oil and its properties. In regards to drops added, I added mostly Lavender oil for its anti-septic and anti-inflammatory abilities, but I also added Benzoin, Juniperberry, Rosemary, Peppermint and Eucalyptus, all for similar reasons. Next, you need to stir the mixture and add to the container/s that you wish to store them in if you didn’t blend the mixture in the container to begin with. Then, you need to leave it to set. 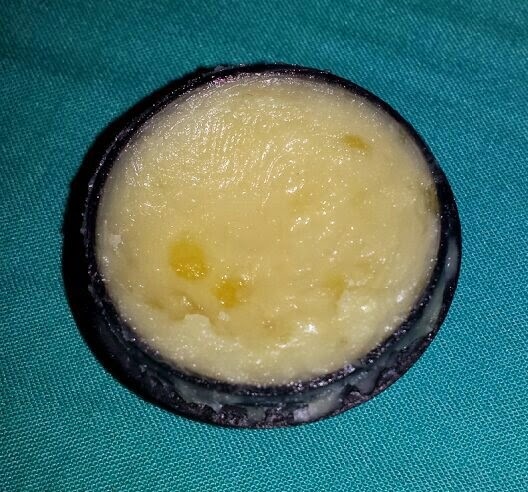 Even though I tried my best to melt the wax sufficiently, I still ended up with some slight lumps in my balm! I need to work out how to fully counter those. 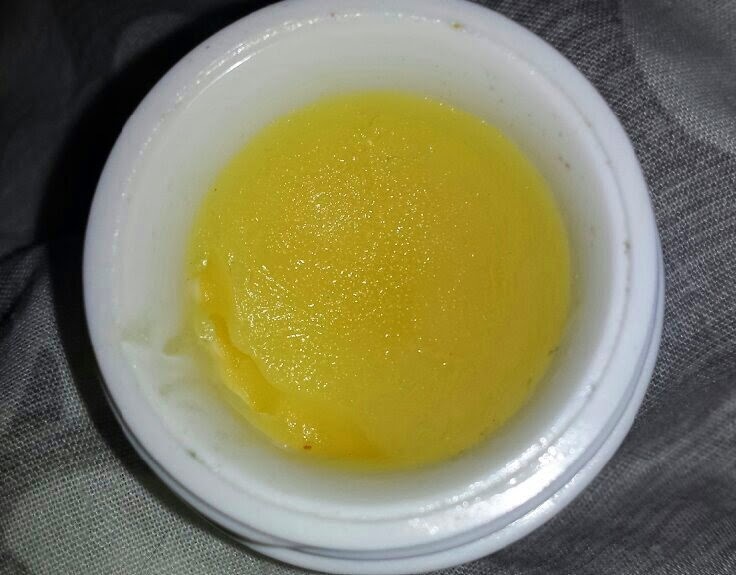 Putting the problems aside, the lumpy balm turned out pretty well in terms of results. I still tested it out as a cleanser (makeup remover and when I haven’t been wearing makeup) and a cuticle cream. As a makeup remover, it works to the same standard as One Love Organics Skin Savior and Lush's Ultrabland! It works just as well as Liz Earle's Cleanse & Polish too as makeup just melts away, but the overall consistency of my balm was far more like OLO's Skin Savior and Ultrabland, perhaps a little closer in consistency to Skin Savior. The same goes for using it just as a cleanser on bare skin. Skin is left beautifully soft and looks super clean. So far, very happy! As a cuticle balm though… I was actually so amazed by how good this was! 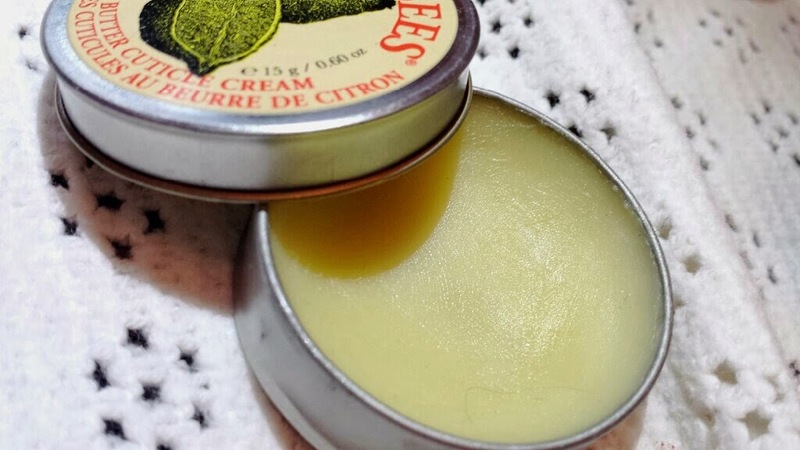 It was right up there with Burt’s Bees Lemon Butter cuticle cream! The mix left my cuticles looking moisturised and happy with a little greasiness at first (just like Burt’s Bees Cuticle Cream), but it absorbed a lot faster. This is great when you need to get on with things! It also lasts a long time, too! So really, right on par with my Burt’s Bees cream! Hurrah! Obviously I have a lot more experimenting to come, but I thought that I would share my first attempt with you all with the method that I originally tried! If you have a better method, definitely let me know and I'll be happy to test it out! Also, if I come up with a secondary method, I shall definitely post in the future. If you are interested in making your own balm and are curious as to what oils to use, then here is a lovely and simple little chart that you can check out with more info also on the Freshskin website! 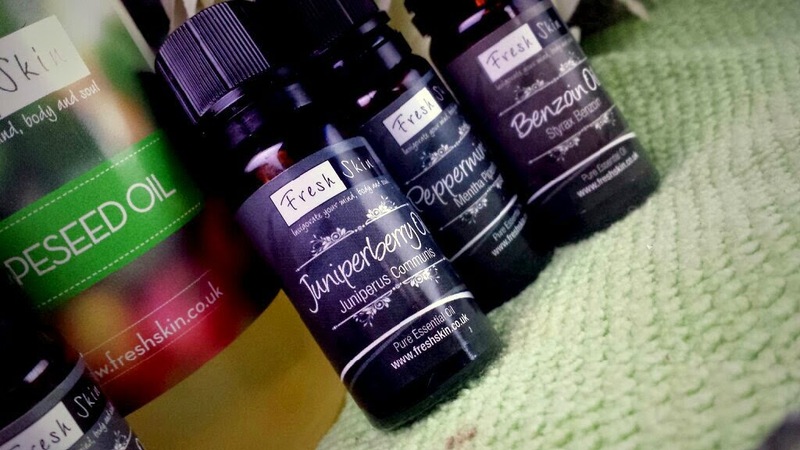 Don't forget that soon I shall be posting all about my facial oil too, so if that is more up your street then keep checking back! 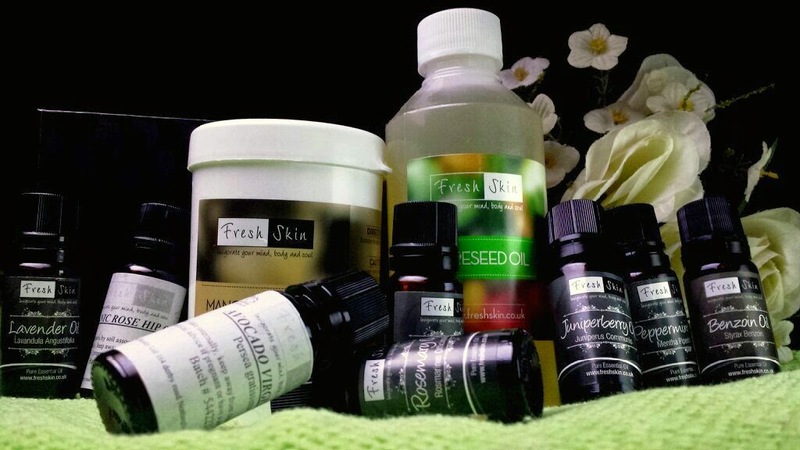 Have you ever made your own skincare products before? If not, would you ever give it a go? Very interesting post, Zoe! And well done for making your balm! Even though I'm a chemist I've never tried to make my own skincare apart from some natural masks. I think I am just too lazy;) Looking forward to reading the post about facial oil!